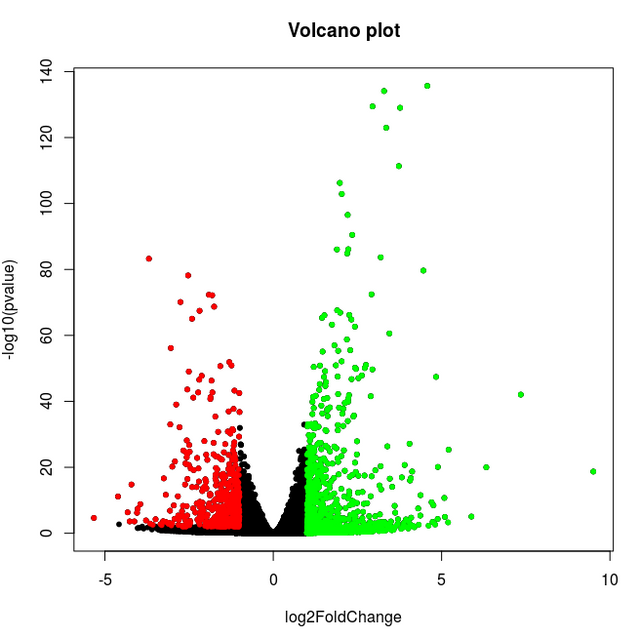 Question: How to change colour of points in volcano plot by common genes? 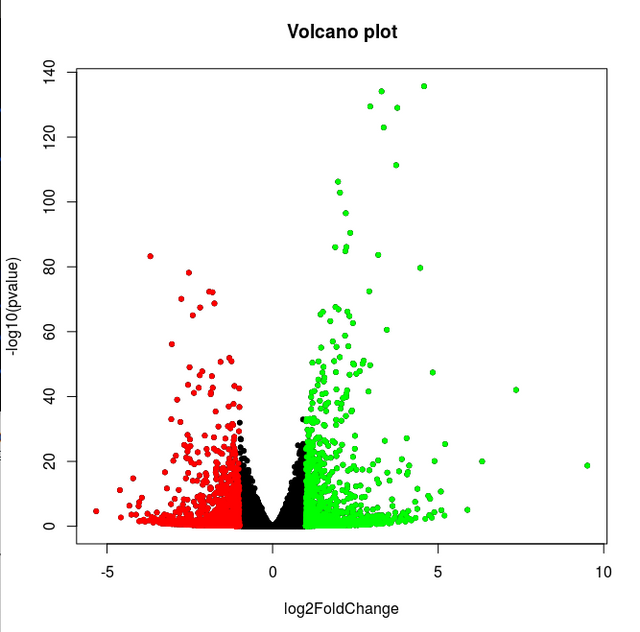 this is my code to draw volcano plot. but i need to give green dots color for genes in up; red ones for genes in down. how can i do? The col argument allows you to change colours as you please. i will look for this link. and i am already using the col argument in my code but the problem the things i would like to color is in different dataframe..
No, the col argument of my EnhancedVolcano function. It accepts 4 colours: https://bioconductor.org/packages/devel/bioc/vignettes/EnhancedVolcano/inst/doc/EnhancedVolcano.html#adjust-colour-and-alpha-for-point-shading.